The shaded area represents University property. 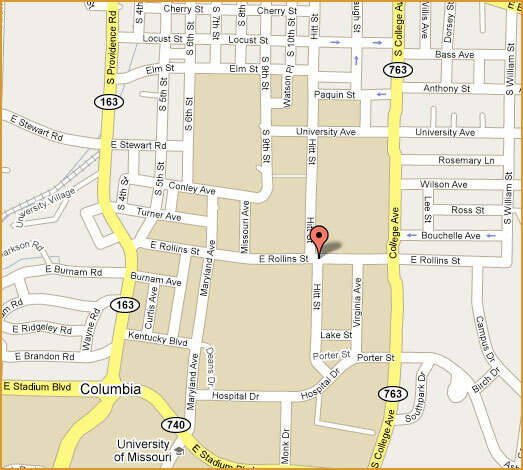 We are in the Agriculture Building, which is located at the NE corner of Hitt and Rollins streets (red place-marker). Metered parking is available in front of the building on Hitt St. and on the west side of Virginia Avenue, adjacent to the parking garage. Go in the Rollins St. doors and come up the stairs. The Museum is in room 3-38.